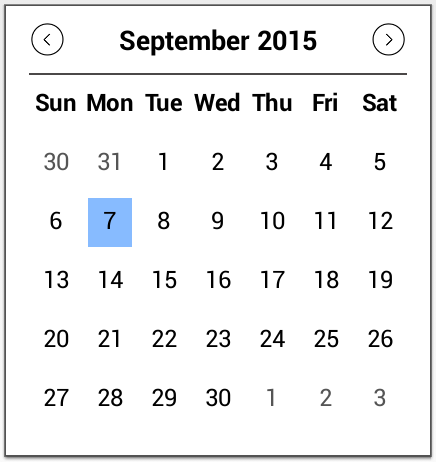 I'm writing my first app, and I have a question about DatePicker. I want to use that in place of the DatePicker interface - which has Month, Day, and Year fields, each with an up and down button to increment/decrement. Is this type of functionality built into any Android widget or view, or would I have to design my own custom component to do this? I figured this would already exist, seeing how much this type of UI is used so frequently in non-mobile apps and web pages. Is this type of functionality built into any android widget or view, or would I have to design my own custom > component to do this? There is no component for that in the Android SDK, sorry. The widget you illustrate is too small for a touchscreen. You can implement something larger (see the Calendar app), but you are largely on your own for that. 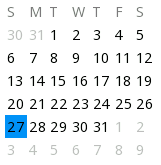 Now, in 2014, even the native DatePicker (link) contains small Holo looking CalendarView (link) to pick a day in month. This View is in HoloEverywhere since API 7. I have recently written exactly this as a modular app. Here is some sample code, documentation with screenshots, and .apk download. Not the answer you're looking for? 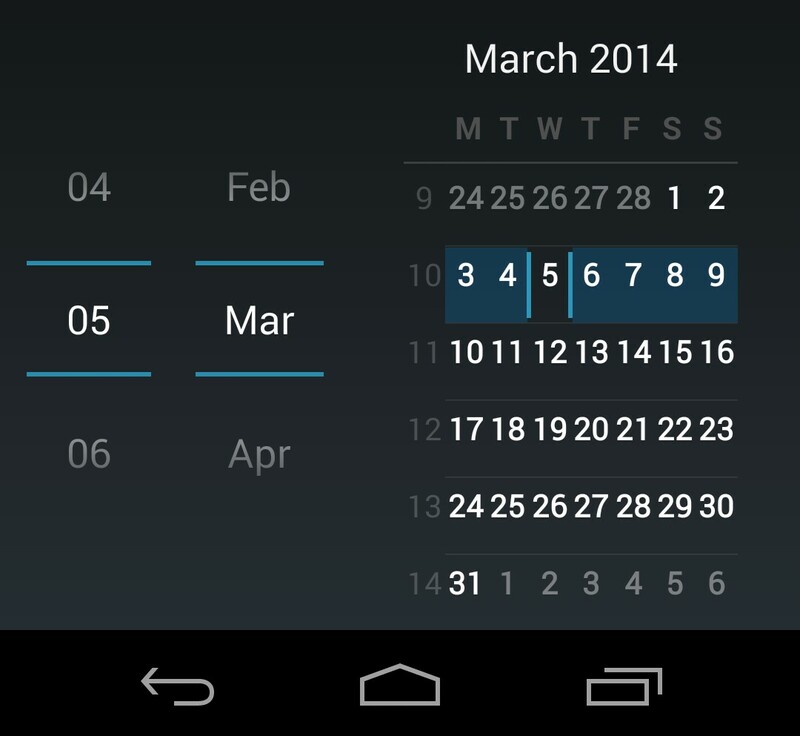 Browse other questions tagged android calendar android-datepicker or ask your own question. 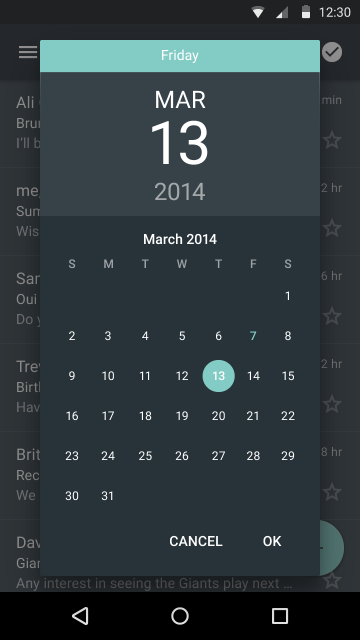 How to get date from android calendar? 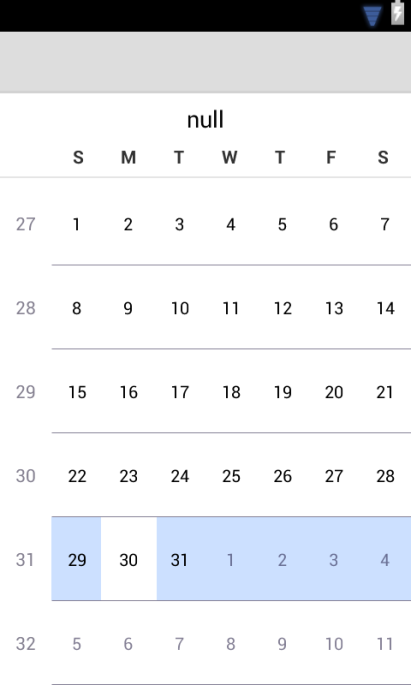 How can I used the date picker that Google Calendar uses for my android app?